The Saugatuck area can boast several success stories of past residents who made millions in their lifetime. Besides Keith Ludwig, the Popcorn Millionaire who once lived in the village as a boy (his father sold real estate), Dorr Eugene Felt came to live in the area late in life. 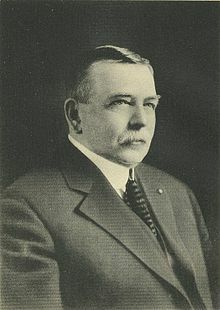 He loved the beautiful forest and dunes along the west coast of Michigan – once called the Midwest Riviera by the number of wealthy tourists from Chicago and other cities – and bought hundreds of acres near what is now Saugatuck Dunes State Park, between Saugatuck and Holland to build a summer cottage. But who was Dorr Felt? Born in Wisconsin in 1848, he was a natural mechanic. At fourteen, he started working in a factory running various machines. With only four bits to his name, he moved to Chicago in 1882 (at the ripe age of 34) to try his hand at inventing something useful – his knowledge of machinery came in very handy. 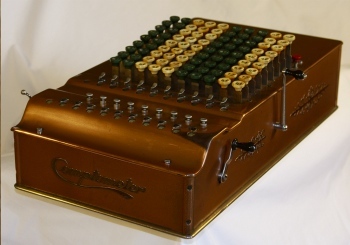 Still, it took him five years to invent a prototype of the Comptometer, a key-driven calculator he patented in 1887. The first prototype, made from a box holding macaroni noodles along with staples, rubber bands and skewers to power the inner mechanics, is stored in Washington, D.C., at the Smithsonian. The comptometer could add, subtract, multiply and divide as fast an operator could input numbers and definitely helped bookkeeping for banks and companies. 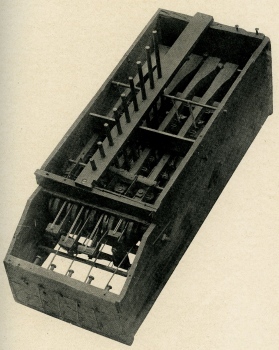 For almost a hundred years, the Felt & Tarrant Company produced various versions of their multi-function key-driven calculator. It also provided a solid foundation for the computer age that would come in the next century. Using his hard-earned wealth, Dorr Felt dreamed of building a summer cottage (in those days, a huge mansion fit the bill for millionaires) for his wife and daughters and bought the property in 1919, naming it Shore Acre Farms. Construction started in 1925, and the 12,000 square foot house was completed three years later. Felt and his wife Agnes wanted a huge home so that their married daughters and their families could spend summers with them. The house had 25 rooms and a huge third-floor ballroom. But tragedy struck within six weeks. 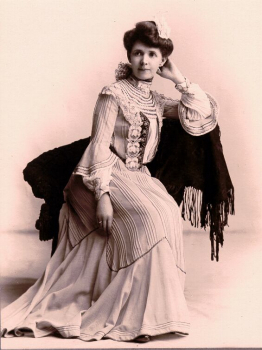 Agnes Felt died in August. Grief-stricken, Dorr Felt died in 1930. The large mansion was kept in the Felt family for another 19 years, until calculators trumped the humble comptometer. Descendants held an auction in 1949 to sell off furnishings and items, sold Shore Acres Farm to the Catholic Church and the business to Victor Electronics. 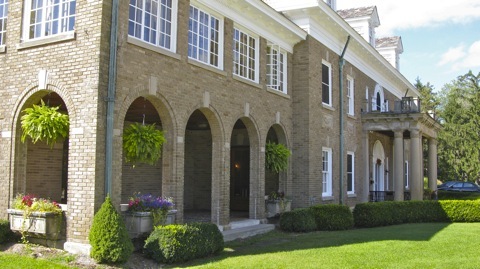 The church first used the Felt mansion as a prep school for young men (under the title St. Augustine Seminary). 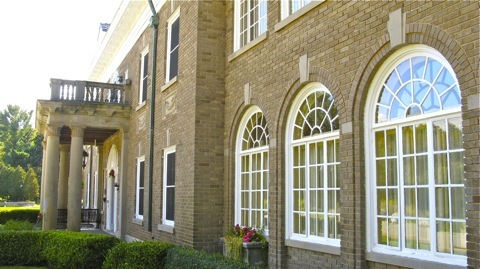 Classes took place in the carriage house and the mansion was used for housing students. Due to crowding, a school was constructed west of the big house. In the 1960s, cloistered nuns used the mansion. The church then sold the property in the late 1970s to the State of Michigan. 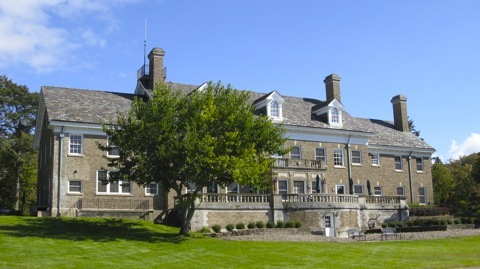 Part of the mansion was used for State Police offices and for the WEMET drug enforcement agency, while the property was used as a correctional facility. In the early 1990s, the property changed hands once more. Volunteers from Laketown Township and nearby communities were allowed to bid $1 to purchase the 17,000 square foot mansion and grounds – for public use, not profit. 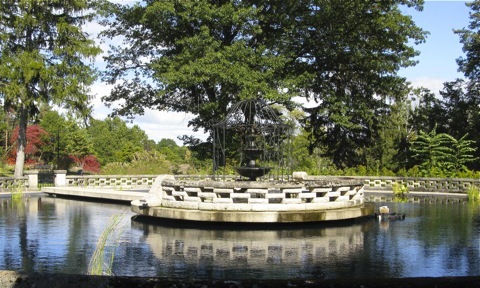 The group decided to restore the big house and grounds to resemble how it would have looked in 1929 and to teach local history. 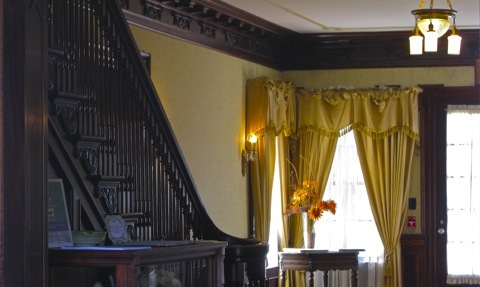 Some say the Felt mansion is haunted – with the ghost of Agnes Felt walking the halls or showing up beside visitors. The French doors of her bedroom have also opened and closed without being touched. Shadowy ‘dancers’ are reportedly seen in the third floor ballroom. Who can say for sure if Mrs. Felt’s spirit remains in the home her husband built for her? Perhaps she felt cheated for dying so soon after moving into the gorgeous Georgian-style mansion. Visit for yourself and find out. The mansion is located near the southeast corner of the Saugatuck Dunes State Park. Directions from Saugatuck: take Holland Street to 64th Street and head north to 138th Avenue, turn left at Gibson Cemetery, and take Shore Acres Drive to the end.